Hi all, Merry Christmas Eve! 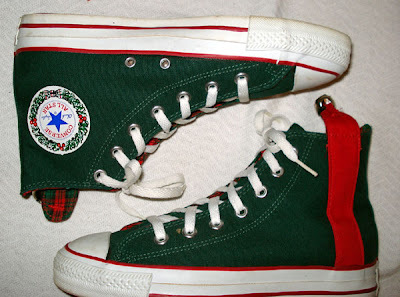 In honor of the season today I bring you a pair of Converse All Star Christmas Editions. 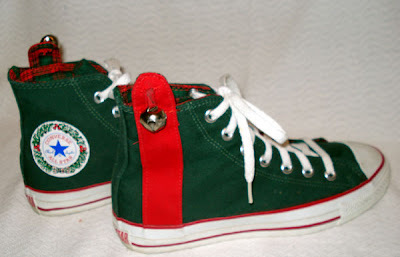 These come in the Christmas classic Red and Green colorway with an added touch of a Jingle Bell on the side of the shoe. 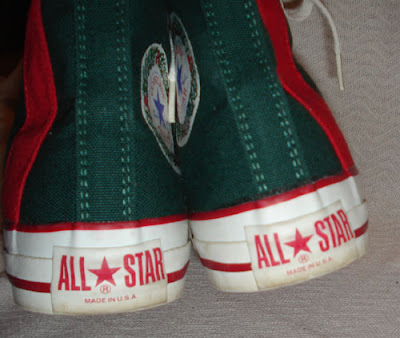 As you can tell from the first picture these were made in the U.S.A. so you know they go a few years back. 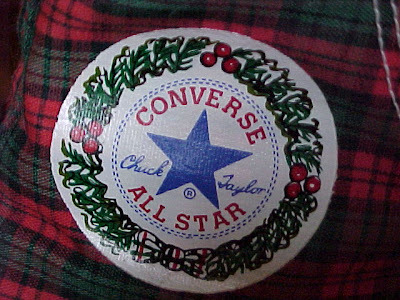 Below is a close up of the same ankle patch used on these Christmas shoes, they come from a different pair of Christmas Chucks. 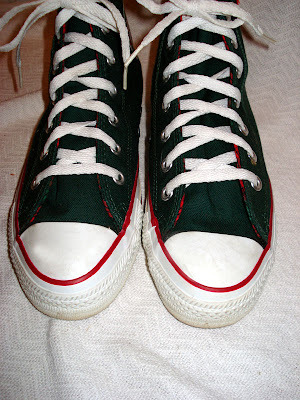 Thanks for checking out the blog, Merry Christmas!